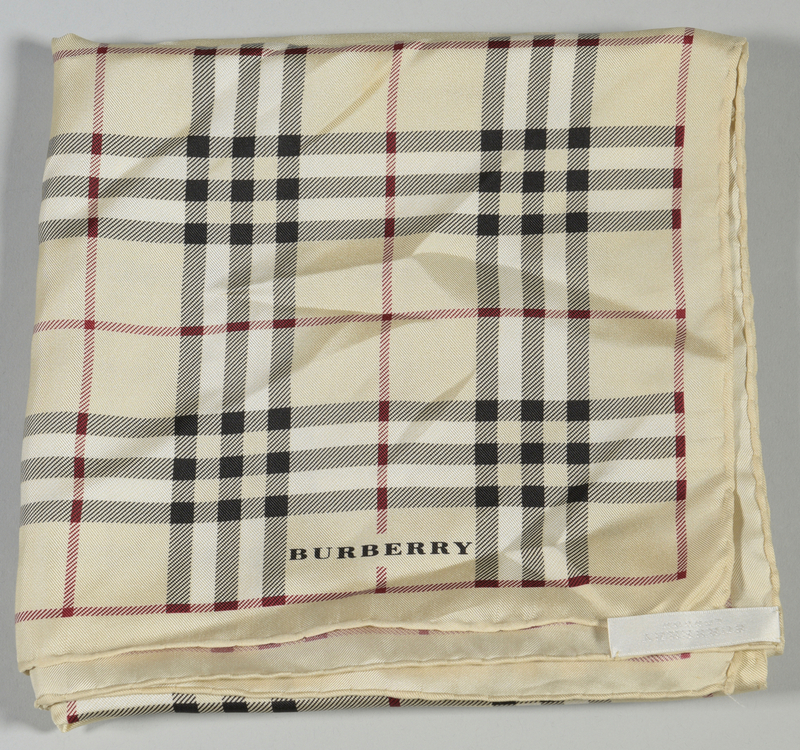 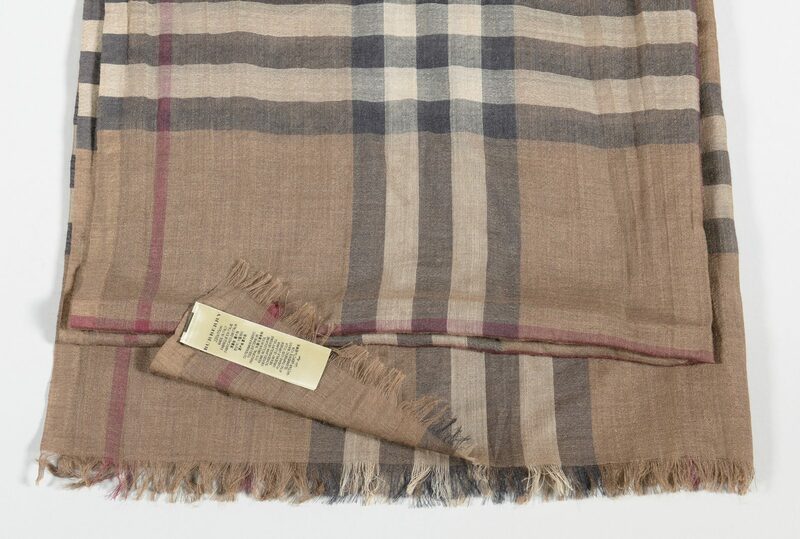 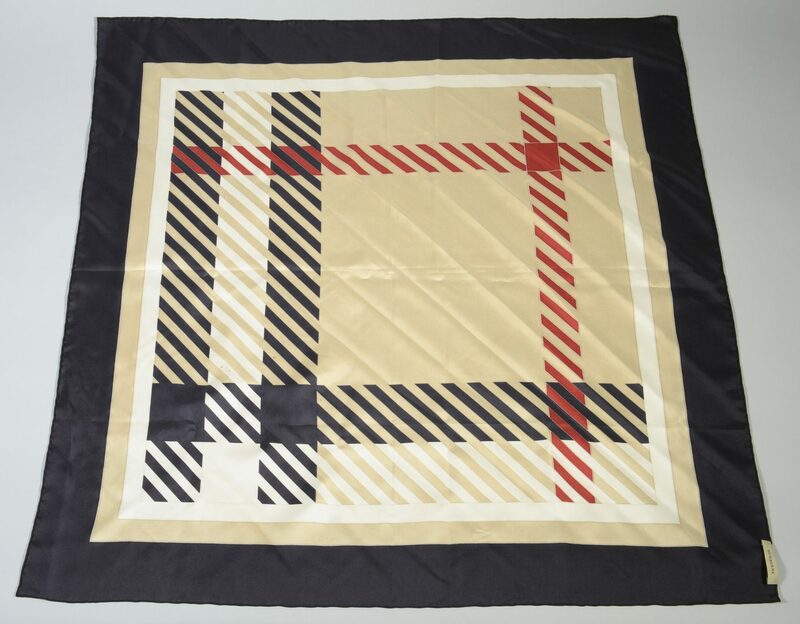 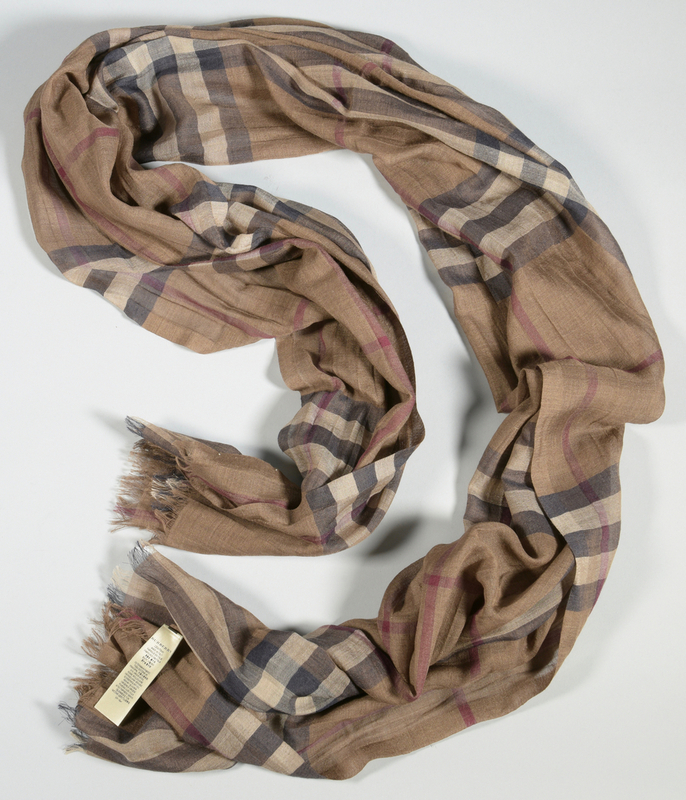 1st item: Burberry 100% silk scarf, beige with check black/beige border. 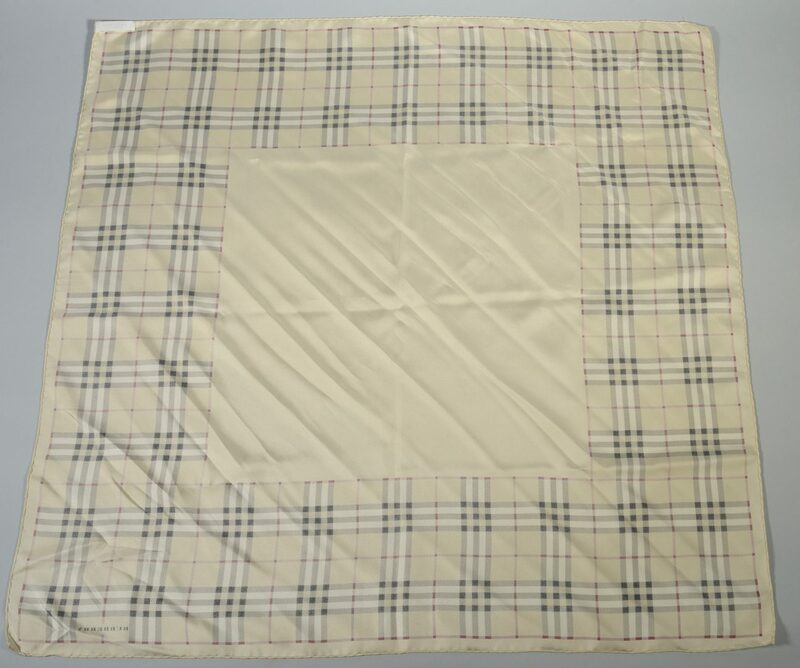 34" square. 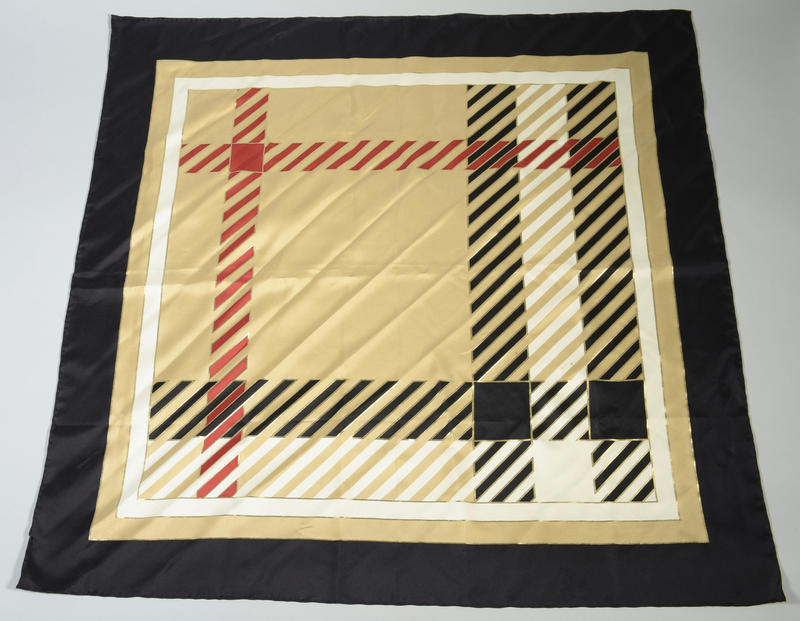 2nd item: 100% silk scarf, beige, black, gold and bordeaux. 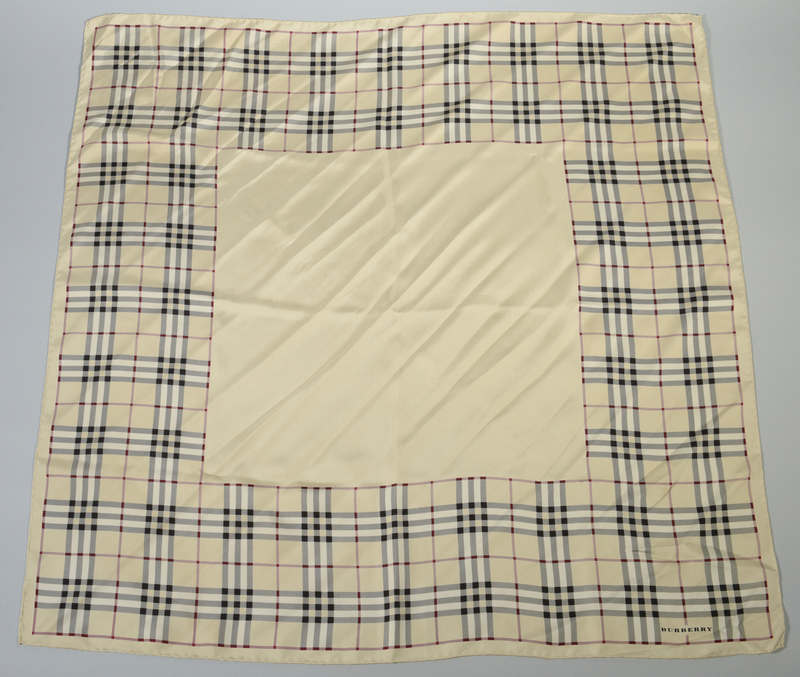 34" square. 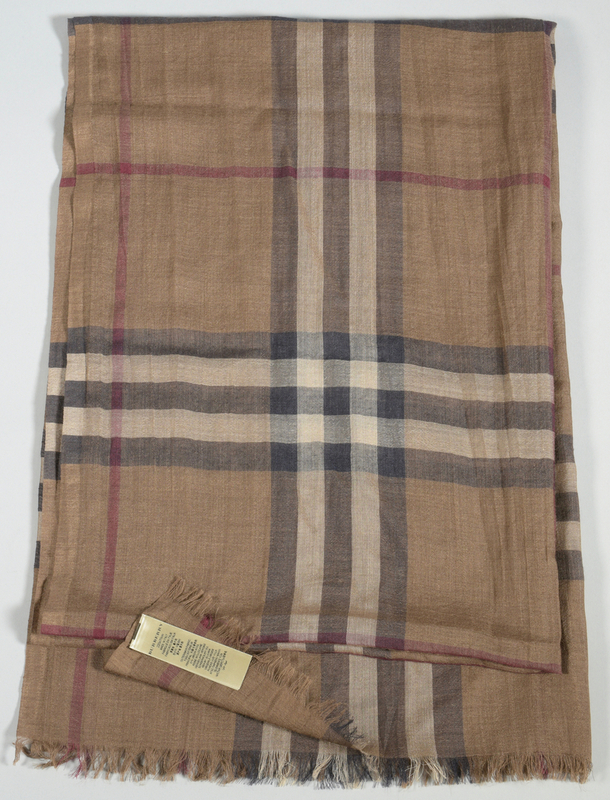 3rd item: Lightweight wool and silk guaze scarf, giant check in taupe, black, bordeaux and tan, 88" L x 28" W. Estate of Jane McKinnon, Lenoir City, TN. 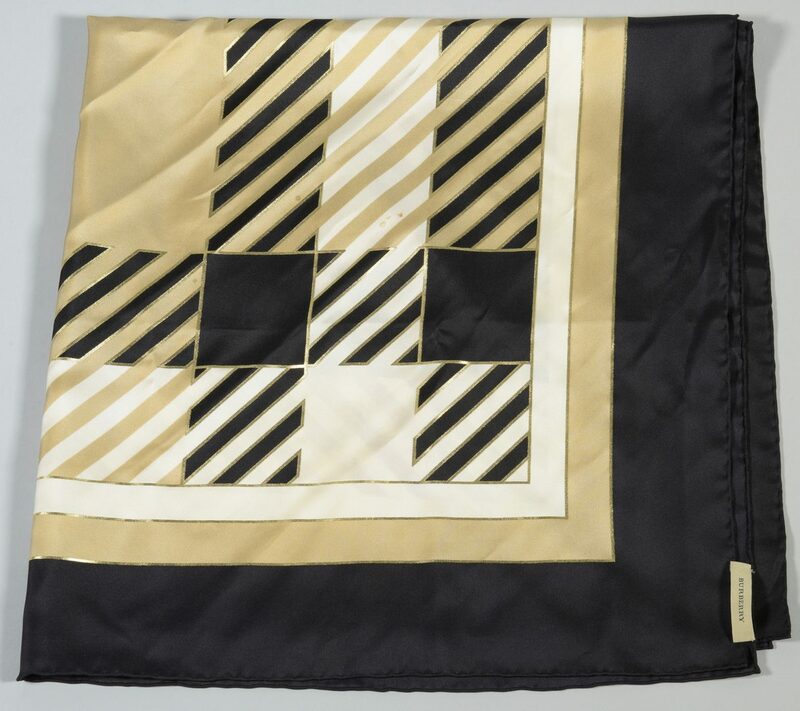 CONDITION: 2nd item: Small stains on upper black and gold corner. 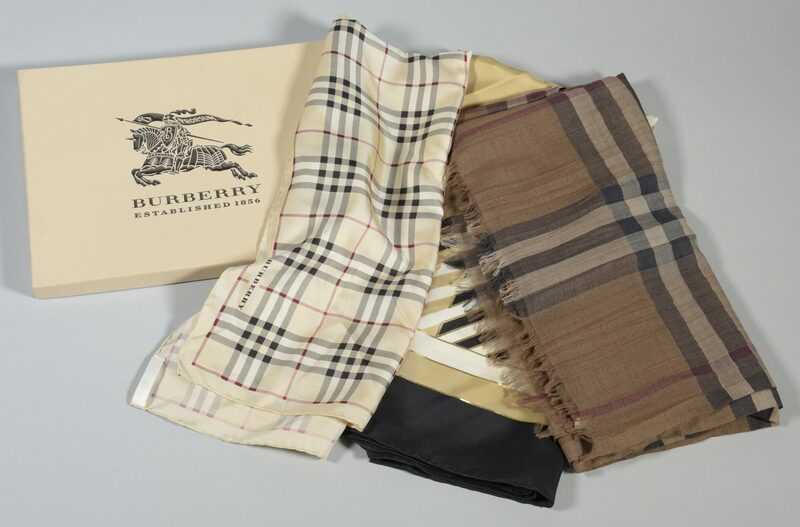 Others in excellent condition.